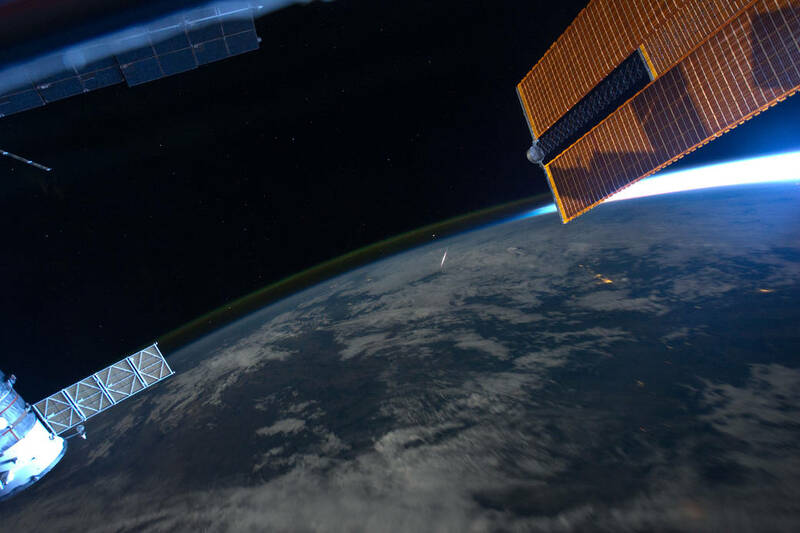 Meteor showers are a cosmic event where an unusually high number of ‘shooting stars’ appear to ‘rain down’ from one particular point of the night sky at certain times of the year. These ‘shooting stars’ are usually just tiny sand-sized pieces of space debris called meteoroids from a comets dust tail which enter Earth’s atmosphere and burn up. Fun Facts About Meteor Showers! 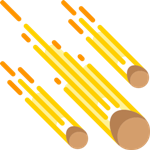 Meteor showers occur when Earth’s orbit and the debris from a comets dust tail cross each other and the tiny meteoroids (which all enter the atmosphere at the same speed and from the same direction) fall to Earth at a greater rate than the typical meteor rate of only several an hour. Once the tiny sand grains burn up, creating streaks of light, they become meteors; otherwise known as ‘shooting stars’. To the keen stargazer on the ground, watching the meteors, they all seem to radiate from a single point in the night sky rather than randomly as with a normal series of shooting stars! The point in the night sky where the meteors radiate is actually how meteor showers get their name; after the constellation or bright star, the meteors radiate from at their maximum (with "id" or "ids" added). Therefore, meteors radiating from near the constellation Gemini are called Geminids. This ‘radiant point’ moves across the sky with the rest of the stars during the night on account of the Earth’s rotation (the stars in the celestial sphere don’t actually move). The exact radiant point even drifts slightly against the background stars (known as radiant drift) as the Earth orbits the Sun because the radiant is the point in the sky where Earth is colliding with the particles as it marches along its orbital path. This is why the best time to view a meteor shower is usually several hours after midnight but before dawn. This will ensure the radiant is high enough in the sky (to see the maximum number of meteors) while the night sky is still dark enough to easily see them! 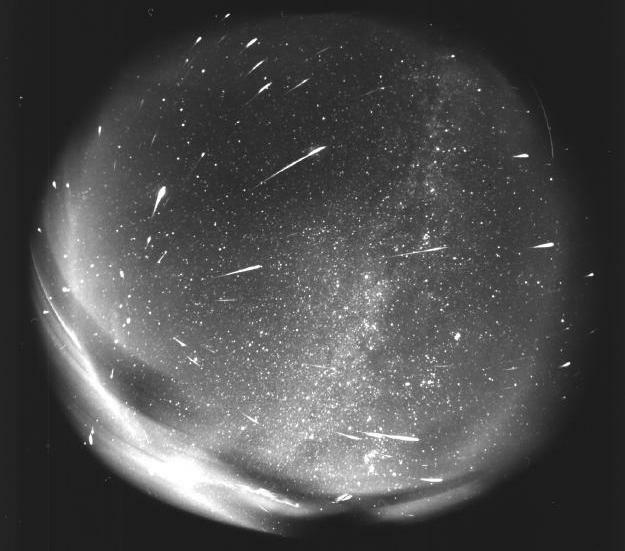 There are several hundred recorded meteor showers, but only several dozen dramatic established ones. For example, one of the most prolific meteor showers is the Perseids shower associated with comet 109P/Swift-Tuttle. 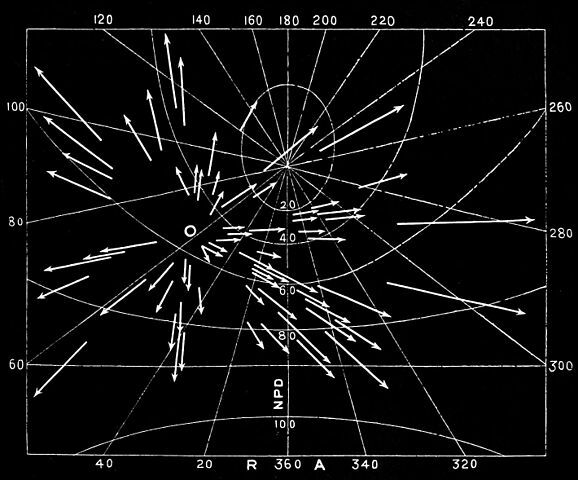 These meteor shower particles hit Earth at a speed of 58 km/s and peaks around the 12th of August at 100 meteors an hour! The Leonid meteor shower particles associated with comet 55P/Tempel-Tuttle, impact Earth at 72 km/s and peaks around 17 November of each year. In a typical annual Leonid meteor shower, it may deposit 10 to 15 tonnes of particles across the planet. 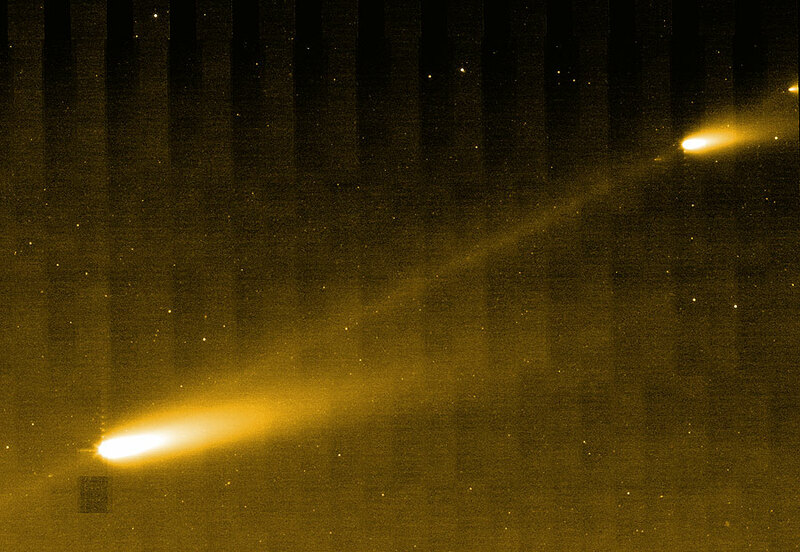 Comet 1P/Halley, or more commonly known as Halley’s Comet, is responsible for the Meteor Shower Eta Aquariids (in early May) and the Orionids shower in late October. Intense or unusual meteor showers are known as meteor storms, caused by Earth passing through a young comet tail dense in particles, and may produce greater than 1000 meteors an hour! The Leonid meteor shower famously produces meteor storms approximately every 33 years as Earth passes through the recent tail of comet 55P/Tempel-Tuttle resulting in peak meteor rates of several thousand per hour. 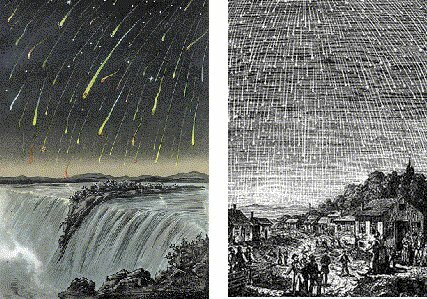 The meteor shower of 1833 famously rained down hundreds of thousands of meteors an hour! Unfortunately, the last notable Leonid storms were in 1999, 2001 and 2002 and won’t likely happen again until 2032 at the earliest.